What happens when two colors meet? This question never ceases to fascinate Gunnel Sahlin. Color is and has always been her entrance to art glass. Colors, which constantly move throughout the glassblowing process. Colors, which occasionally overlap and present surprises, even to the artist herself. Life in colors, that shift with the light. Light and glass in constant interaction. Some colors are softer than others and thus spread more. When during the process you add the color and the thickness of the layer you apply are also reflected in the result. It is essential to complete this step at precisely the right moment. 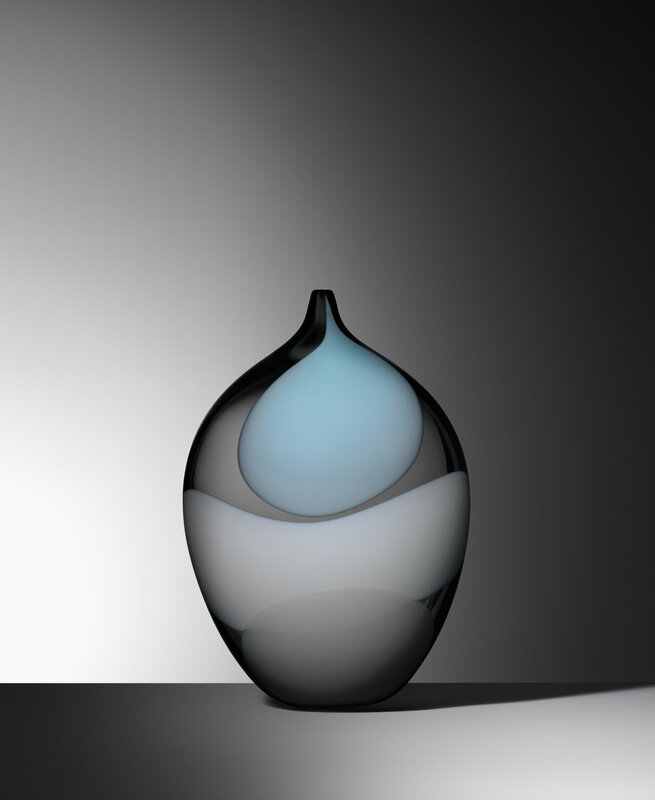 It all happens in an instant; the energy is in the collaboration with glassblower Micke Jansson, and the hand-crafted feel remains. 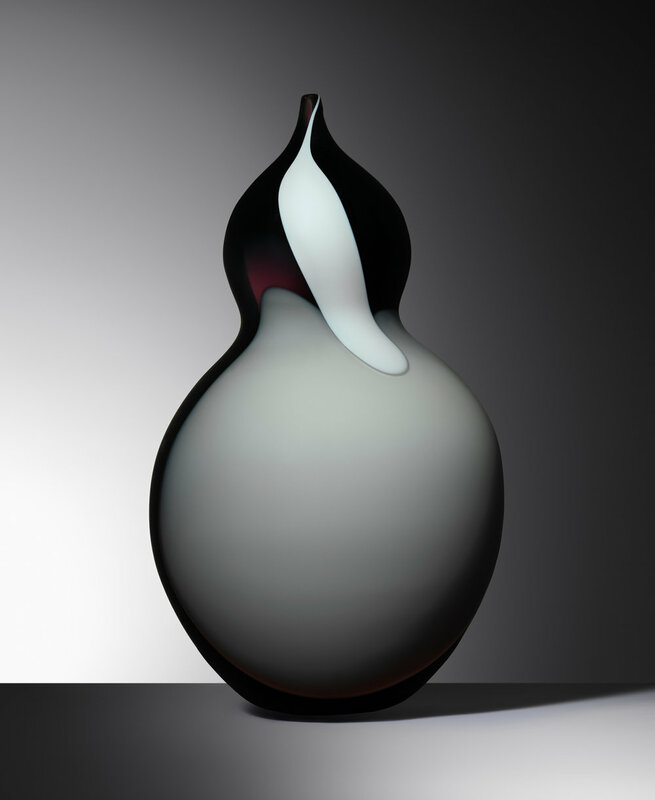 The archetypical shapes of Gunnel Sahlin’s glass art serve as a calm foundation for the spectacle that plays out upon them. In the exhibition “Memo Color,” she absolutely demonstrates an eye for color and shape, and the art of condensing nature and rendering it abstract. This might involve sprouting greenery or decay, the slow rotting of plant life. The meetings between colors are magical.We can never fully control nature. Or glass. Perhaps this explains Gunnel Sahlin’s passion for both of them. In the process of uncontrolled creation, she emerges at her best. Pelle Bergström is at the very top of still life photography. The secret to his success is a consistent ability to shoot pictures that seem to inhabit a beauty that’s almost tangible. Bergström’s vibrantly delicious shots of desirable objects, food and drink have made him a sought after photographer for numerous international campaigns and influential cookbooks. There’s an alluring sensuality to his pictures created by a deep understanding of color, light, composition and that something else - that which can only be achieved through decades of hard work, technical expertise, a heartfelt dedication to each assignment and exceptional individual talent.